View of “Abraham Cruzvillegas,” 2013. In his first midcareer retrospective, Mexican artist Abraham Cruzvillegas demonstrates a distinct flair for affective accretion. 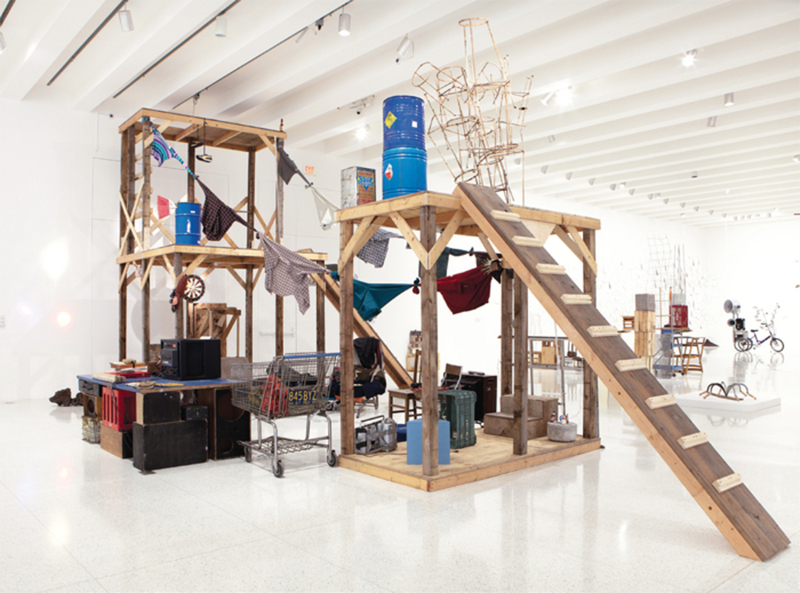 Ingeniously clustering diverse items such as knives, umbrellas, fabric, paint, plants, wood, and cardboard into dynamic sculptures, he pursues a logic of accrual that often brings disparate objects both familiar and rarefied into direct confrontation. This aesthetic, though it resonates with the work of figures such as Isa Genzken, is place-based and specific, for Cruzvillegas finds inspiration in the improvised architectureautoconstrucciónin which he grew up: patchwork buildings that rise with no plans and are shaped by scarcity and the inventive reuse of materials.